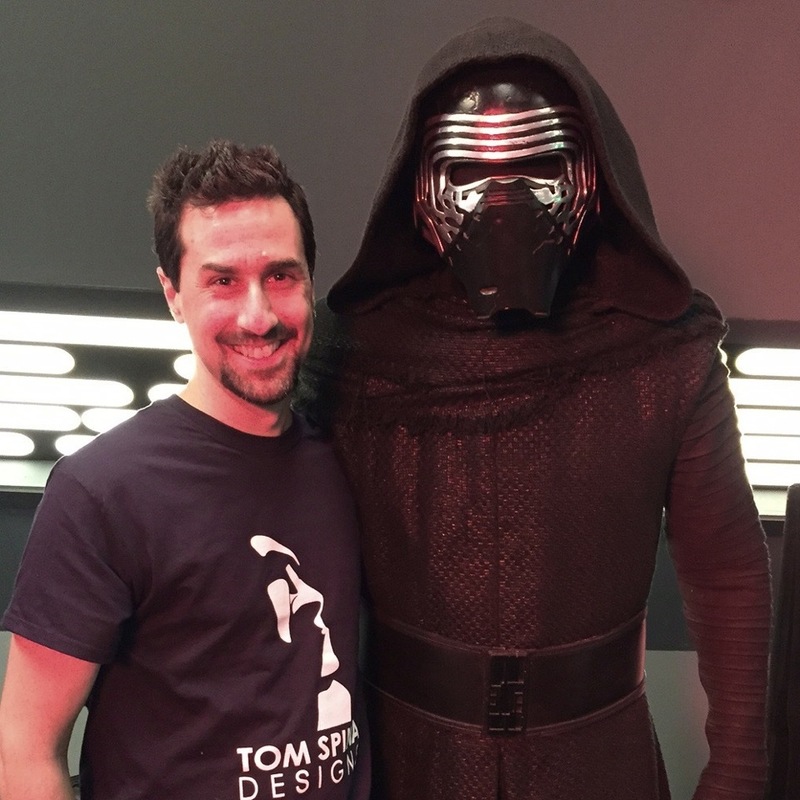 The veteran costumer discusses dressing the dark side villain for "Undercover Boss: Starkiller Base." Matt the Radar Technician took the galaxy by storm following his introduction in Saturday Night Live’s “Undercover Boss: Starkiller Base.” Who knew that all it took to make Kylo Ren even more terrifying was a disheveled blonde wig, coveralls, and a terrible pair of glasses? 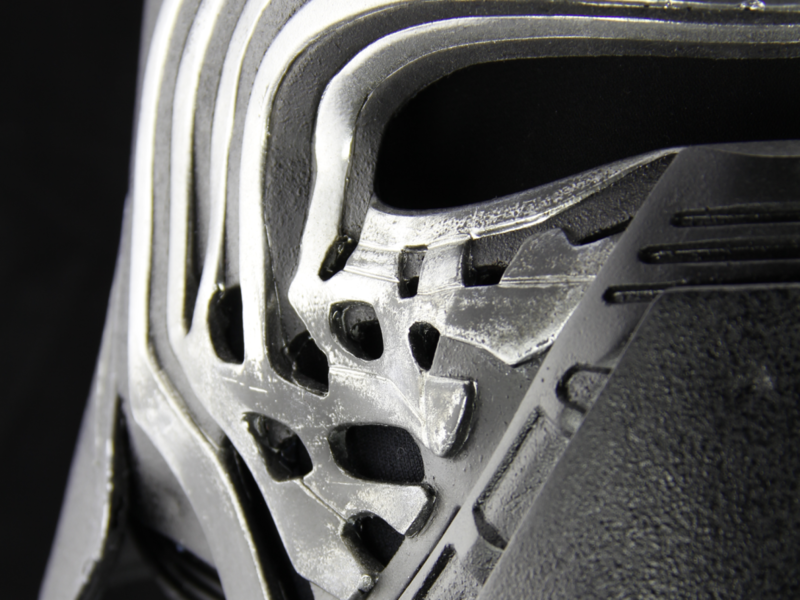 StarWars.com: How did you first get started working with Star Wars props? If you want to talk in a more official sense, I taught myself how to sculpt using Star Wars cantina aliens for the most part. I sculpted some other characters from things like the Twilight Zone and werewolves, and when I was 12 I did this really terrible vampire mask with half his skin missing, because that was “awesome!” [Laughs] But I got known for making really faithful recreations of Star Wars cantina aliens, and it put me on the radar with places like Sideshow Collectibles, where we did a life-size cantina band bust that they sold as a limited-edition collectible. From there we got picked to work on a Star Wars Volkswagen commercial like four or five years ago, and it was for the Super Bowl and they needed a whole bunch of aliens, so they came to us. Since then, we’ve been very lucky to work on a number of Star Wars videos, commercials, and events, and have created dozens of aliens and costumes from the saga. StarWars.com: How were you first approached to help out with the production of the SNL “Undercover Boss: Starkiller Base” sketch? 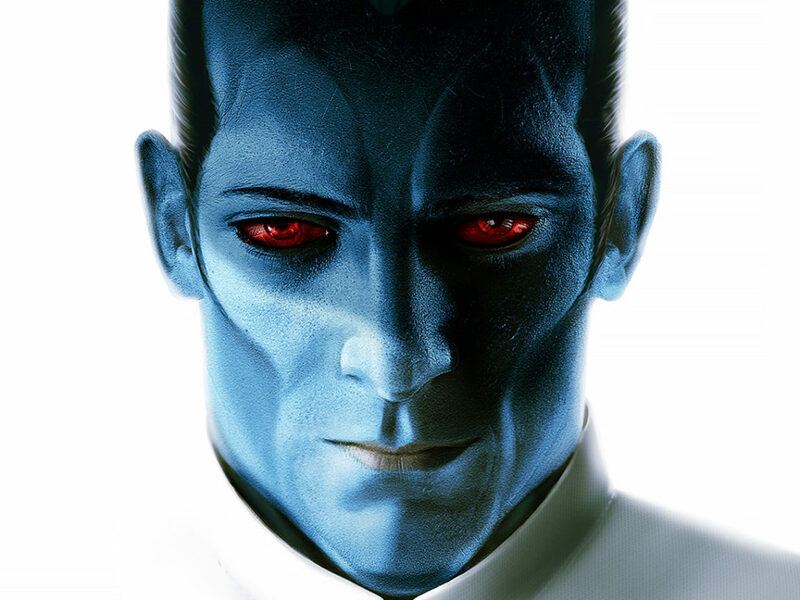 Tom Spina: We know a quite a few folks over at Lucasfilm from our various projects, and we’re currently working on a few projects which haven’t gone public yet. The [SNL] thing came up very last minute. You know, the Saturday Night Live schedule is unbelievable. [Laughs] It’s amazing when you see the show to know what they’ve created in the time frame, because I don’t think they even locked the script and were ready to start building things until I think it was Thursday for a Friday pre-shoot! Saturday Night Live sent the message to Lucasfilm and said, “Hey, we’ve got Adam [Driver] and we’ve got this sketch, so we’d like to get him in a Kylo Ren costume. Can we borrow it?” And Lucasfilm obviously can’t just send a costume out from a movie like, “Sure! Here you go.” So they wanted people that they knew that they could entrust the costume to. People that could receive, unpack it, make sure everything’s there, and then make sure that he’s dressed right. And I guess you’re keeping an eye out for two things: you’re keeping an eye on the physical assets, and you’re keeping an eye on the brand and making sure everything is presented right and looks good on screen. 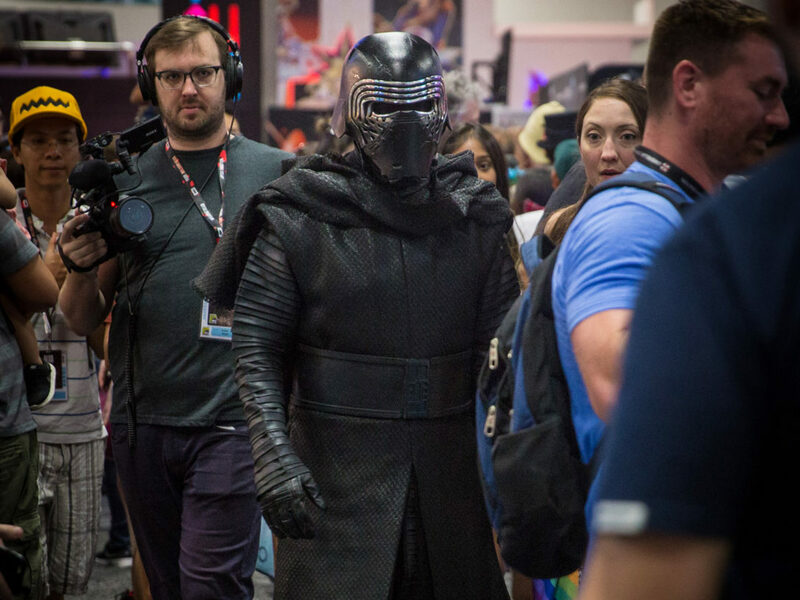 StarWars.com: So was this Kylo Ren costume one of the one’s actually used in The Force Awakens? 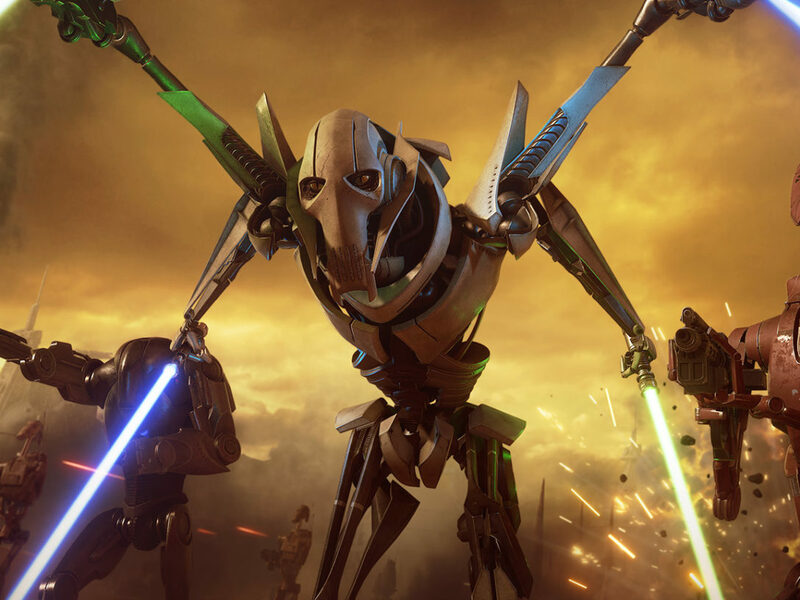 StarWars.com: Was there anything about the costume in particular that really stood out to you? Tom Spina: Man, the whole thing was really cool. The three things that really stood out to us were that, one, it’s a LOT of layers. Two, it’s very heavy — it’s a surprisingly heavy costume. One of the layers felt like one of those vests that you get at the dentist, like the lead smock they put on you when you get the x-ray [Laughs]. It’s just, you lift it out of the bag and you’re like, “Oh my goodness,” you know? And then we’ve got like five more layers to go! [Laughs] And the third thing — and this is really the coolest thing — is that the distressing and the treatments that they did to the fabric are really cool. The thing that really stands out to me is that there’s this big, woven, dark fabric that is sort of the outer cloak and hood and all that. And most of the time you’d get a fabric like that and it’s a soft looking fabric — it absorbs a lot of light. If it was black it would almost look like pajamas; like if you took a picture of it you wouldn’t even see it. 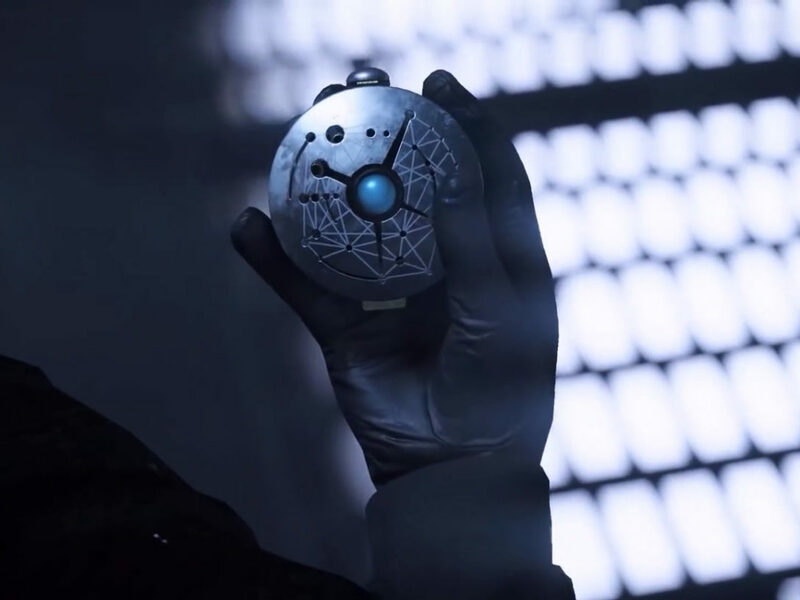 Anyway, the treatment that they did on it has a little bit of shine to it and it’s really cool because it makes it show up on film great, and you notice that there’s some interesting detail to it. StarWars.com: So were the First Order and stormtrooper uniforms provided by Lucasfilm or Tom Spina Designs? Tom Spina: Neither. That was actually scavenged together by their costume people and Leah Katznelson at Saturday Night Live, who were really, really cool. If I remember right, they pulled together the really high-end Rubies’ stormtrooper costume, and they might’ve been Hasbro’s First Order masks. 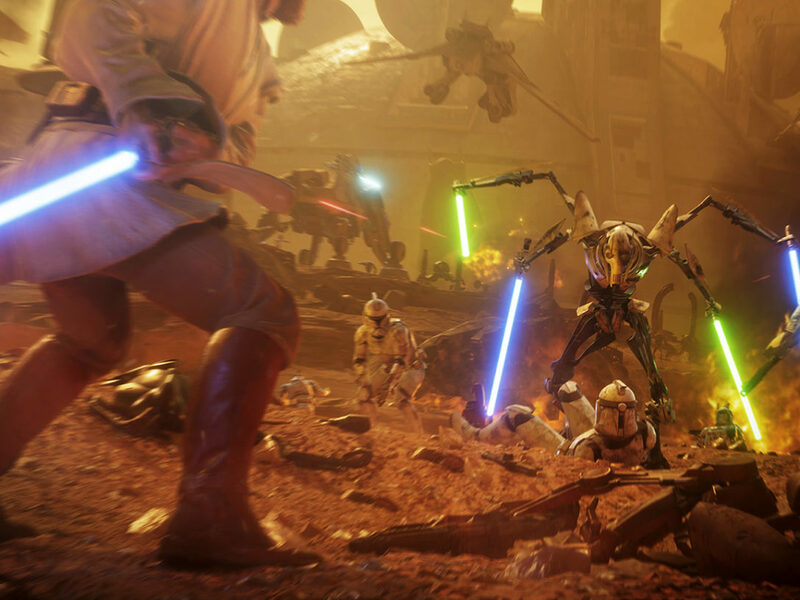 So they were original trilogy trooper from the neck down, and First Order from the neck up. They were actually still being unwrapped when we got there. We [Tom Spina Designs] were called on Thursday afternoon to see if we’d be available for it, and a whole bunch of craziness goes back and forth. 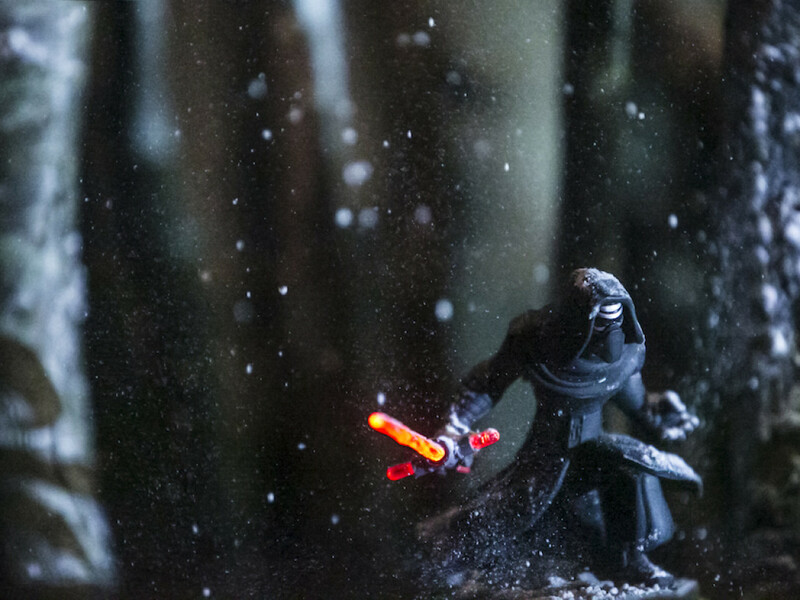 So after a whirlwind of e-mails, it winds up that [Lucasfilm] is sending the Kylo costume out and we do have to get down to the set. And the shoot was on that Friday night, so there was about 24 hours of notice. By the time we got there Friday night, the costumers from Saturday Night Live were just opening the stormtrooper uniforms they got and starting to assemble them about an hour or so before shooting, so it was pretty hectic as I’m sure you can imagine! StarWars.com: Now, did you have a hand in the design of the “Matt the Radar Technician” outfit? Tom Spina: No, that was all SNL and all awesome! We were there for one cool moment though, when the costumer brought out a tray of glasses, and kind of just held them up to Adam and went, “Ok, which are the most Matt?” [Laughs] And he picked his choice from about a dozen awful, very bad glasses. StarWars.com: It certainly sounds like it! So were you on set while the sketch was being recorded? Tom Spina: Yeah, we were there through all of the stuff where Adam is in the costume and then we stuck around a bit after that. We were very lucky. They shot the stuff in that costume early in the night and we got to go home earlier than a lot of the crew, which was very nice for us. But we’ve got a lot of respect for what [the Saturday Night Live crew] did. It was a really great atmosphere on the set. Of course, being around any production is, well, in my opinion, it’s the coolest place to be [Laughs]. StarWars.com: Did you get the impression that the Saturday Night Live cast and crew were also big Star Wars fans? 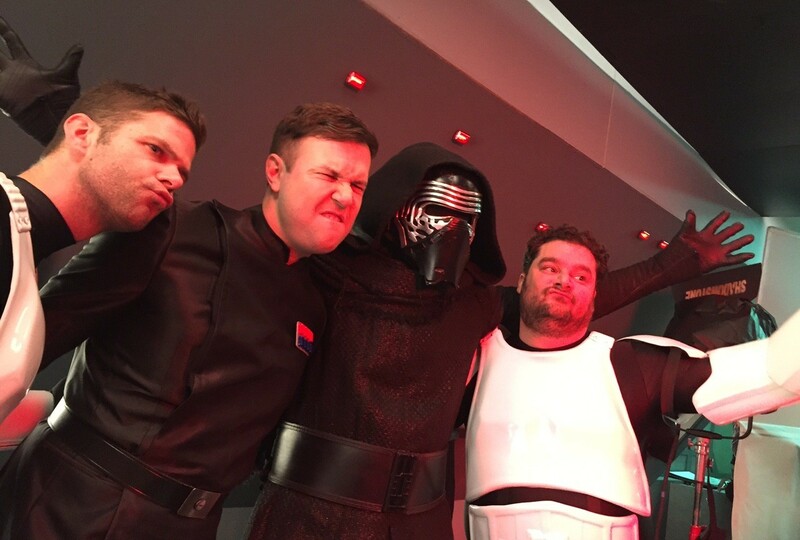 Tom Spina: Almost all of the crew I would say were huge Star Wars fans, in particular Bobby Moynihan who obviously starred in it as Tim the stormtrooper. And Bobby came up to me as Adam [Driver] was doing his first round of shots for the shoot, and Bobby’s wearing his stormtrooper armor right now. And I had earlier seen Bobby come out of his dressing room in the stormtrooper armor and just go, “This is the best day of my life!” And anyway, so he walks up next to me and he sort of leans over and goes, “I might have brought a helmet for Adam to sign.” [Laughs] But it was really cool because he was into it and everybody and all the crew were into it, the set looked great, Adam had a lot of fun with it. There’s tons of stuff that didn’t necessarily make the cut because it seemed like every take with Adam ended in laughter, both on his part and everyone on the crew. StarWars.com: What was working with Adam Driver like on set? 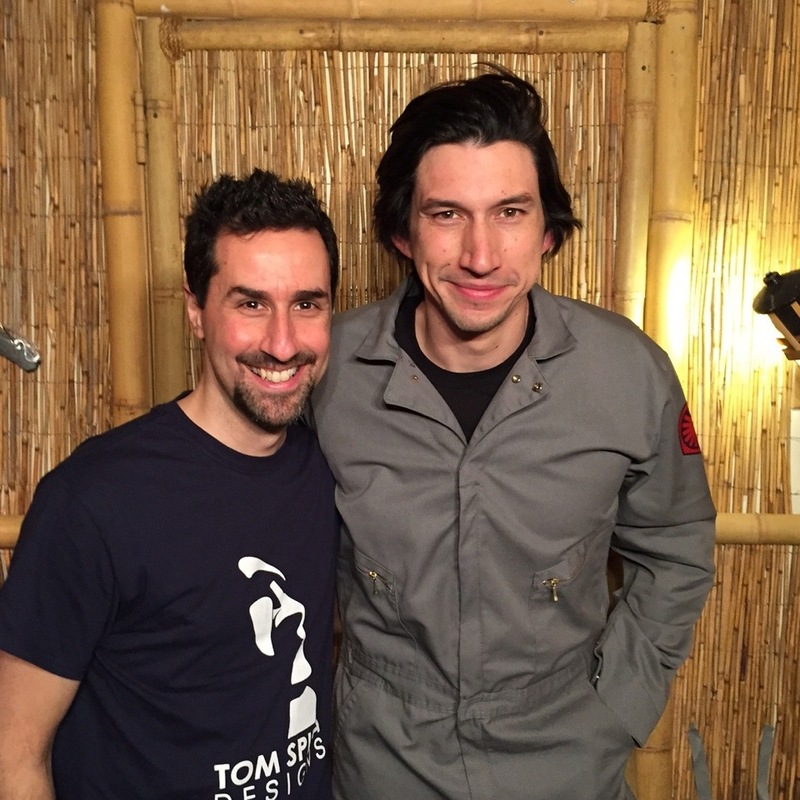 Tom Spina: Adam was super nice to us. We obviously didn’t spend a ton of time with him. He got there after doing rehearsals at 30 Rock. This is a separate studio where we’re shooting it, and it was pretty much all business. He got in, we immediately started dressing him, we all were going through the various elements of the costume marveling at its depth, weight, and complexity. He was awesome though. He was really nice to us and we had a good laugh about how the schedule is a bit crazy at Saturday Night Live. 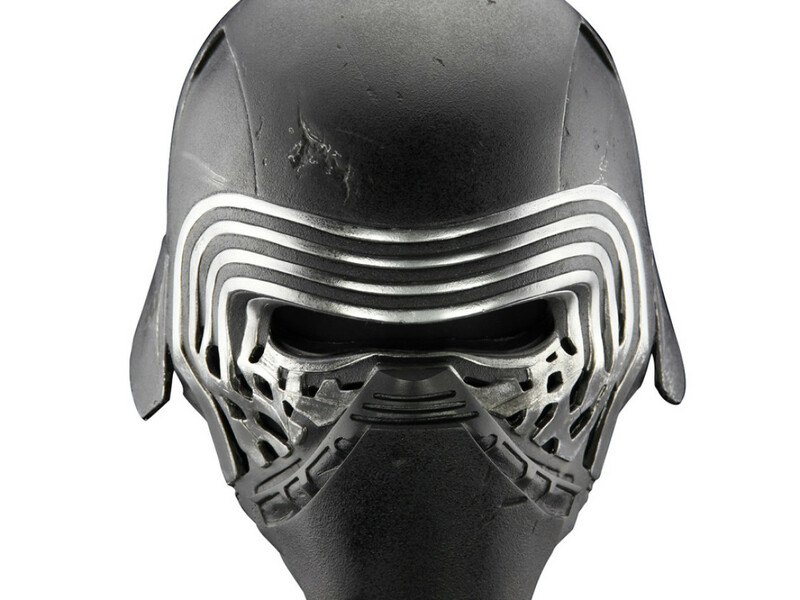 In terms of once he was in the costume though, there’s a really regal look that the Kylo costume has when the mask is off — and it’s that high collar and neck seal that goes way up to his jawline. And Adam’s a really tall guy too, kind of broad, and he doesn’t appear that way, necessarily…So, he gets in the costume and without the mask and hood on, he looks very regal, royal, and intense, obviously, as he kind of starts getting into character and stuff. But when we got to the point where we had to walk up on set and put his mask on and hood up, I’m not gonna lie — it definitely gives you the chills! I took half a step back because he’s a big dude, and the mask is intimidating. It was a really cool moment getting him into the helmet for the first time.